1. 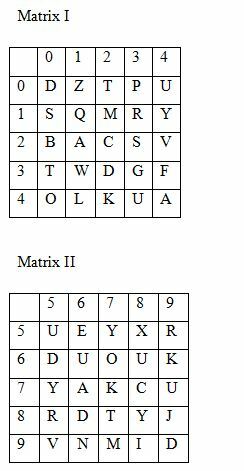 Select the related letters/ word/ number from the given alternatives. Except option a), all are grown under soil. Select the related letters/ word/ number from the given alternatives. 3. How many triangles are there in the following figures? 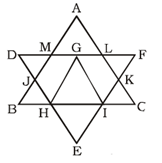 There are 11 triangles in the given figure: – ABC, DEF, GHI, AML, LFK, KCI, IEH, DGH, GFI, BHJ and MDJ. If the time in the mirror image of a clock is 4 hours 20 minutes, then what will be theactual time in this situation? Direction: (5-6) one or two statements are given followed by some conclusions. You have to consider the two statements to be true even if they seem to be at variance from commonly known facts. You have to decide which of the given conclusions, if any, follow from the given statements. Many drug addicts were arrested by police. Taking drug is a crime. Many people take drugs regularly. From the options given below, which option is according to the dictionary? If $ means ‘added to’, # means ‘multiplied by’, % means ‘divided by’ and & means ‘difference of’ then what is the value of 7 $ 55 % 11 # 9 & 45. 3) How many triangles are there in the following figures? 4) If the time in the mirror image of a clock is 4 hours 20 minutes, then what will be theactual time in this situation? a) Only I conclusion follows. b) Only II conclusion follows. 7) In the following questions given format is made on a transparent page and folded along the dotted line, then how will it be visible ? 8) From the options given below, which option is according to the dictionary? 10) If $ means ‘added to’, # means ‘multiplied by’, % means ‘divided by’ and & means ‘difference of’ then what is the value of 7 $ 55 % 11 # 9 & 45.